Gray/black with a white 'demon' face. Requires exalted with Warsong to buy. sold by? how much does it cost and what does it cost? honor? tokens? With the new pvp system patch, this tabard now costs 60 warsong marks of honor. yeesh. While grinding away honor for the Epic PvP Rewards, you'll have AB and WSG tokens rotting away in the mail. Tokens will not be the limiting factor for any PvP purchases, except for Alterac Valley if you are Horde. Waste of marks in my opinion. 60 marks? You can buy a Legionnaire's Sword for less and it'll probably be of more benefit to you. The Tabard is one of the best out there, and matches many things because of it's simple yet good looking design. It may seem expensive at first, but when You start farming for Honor and Reputation in the Battlegrounds, you'll find that 60 Marks Of Honor isn't that much. Still, I advise holding off on buying it until you have everything else you are looking for. This Tabard will also count towards the Tabard Achievement in WotLK, so it may be worth purchasing it. why horde gets the nice tabards :)? IMO, best looking tabard for lvl19 twinks is draenei Tabard of the hand you get from lvl18 quest. Ony draenei can get it. The warsong tabard costs 60 WSG marks , and no more requires WSG exalted. This is hands down the ugliest tabard in-game. Looks like a guild tabard to me. The Silverwing-tabard however has a unique look, which I think all non-guild tabards should. Actually that's an orc's face. The Warsong clan symbol hasn't changed since the days of Warcraft II, w00t! For Grom Hellscream! It also works well for a death knight with starter equipment. I'm getting a grey wolf to round off the look. This tabard no longer requires that you be exalted with Warsong Outriders. (I purchased it at revered). It does, however, still cost 60x . Ner'zhul wasn't a Warsong orc. He was chieftan of the Shadowmoon clan. 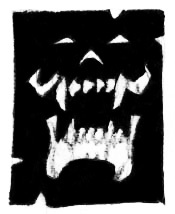 Granted, he was warchief during the events of Beyond the Dark Portal, which means that he led the Warsong for a short time, but I'm pretty sure that most of the clan symbols predate the Horde itself. EDIT: Response to a post 'informing' us that Ner'zhul was originally leader of the Warsong clan. Buying this tabard will count towards the achievement, selling it back with the new refund ability will get you your marks back and you will keep the point! I got this withing 6 days of starting wow. Confirmed you do not have to be exalted with Warsong Outriders to buy/wear. As of patch 3.3.3, this item now costs 12,000 honor. When a Blood Elf female wears this: "Please, tell your b00bies to stop staring at my eyes". I can confirm that this tabard, unlike most other tabards, is resellable for up to two hours and will continue to count towards the achievement Twenty-Five Tabards. This is not the case with the tabards from Icecrown Tournament, and Game Masters are unable to refund you Champion's Seals. Tested with Argent Crusader's Tabard. Quite possibly the best tabard in WoW. Edit: It's still refundable for honor, same with the Frostwolf Battle Tabard. I think this is going to be hotfixed eventually; I talked to a GM recently who told me neither of those tabards should be refundable. Price is now 2059 honor as of patch 4.0.3a. As of this post (don't know when this was patched), you cannot re-sell the tabard back to the vendor for your honor. Just wanted to point out that as of 8/7/2012; this tabard still does NOT provide you with any type of increased reputation with the Warsong Outriders unfortunately. If you hover over any tabards in game with your mouse at the vendor for any faction you're interested in getting reputation with there is now a tooltip display showing you if it has an enhanced reputation gain or not while wearing. I have this tabard on two of my characters and neither on is exalted with Warsong. I've always been wondering..... Why 2059 honor instead of just 2000, or 2100? It looks a lot like the tabard of the Kor'kron forces under Garrosh in MoP. Belt: Cinturón de escamas descarriadas - Crafted - Recepi no longer available, hard to find crafter. Since the switch to Marks of Honor, the cost for this tabard is outrageous, considering the drop rate for the coins. It should be rep based and then a flat 100g. Este objeto será convertido a Tabardo de batalla Ala de Plata si lo transfieres a la Alianza.